What could be easier than making a Rustic Pear and Cranberry Tart? Nothing is easier than making a rustic tart. 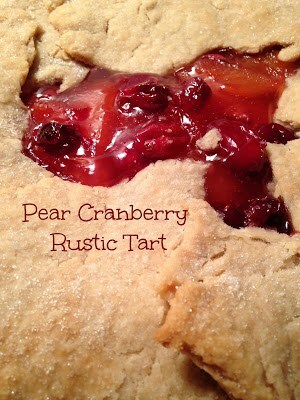 It sounds mysterious and even complicated but trust me, a five year old could manage a rustic tart! Well alright maybe not a five year old but with some adult help, it can be done. You will need to make a crust using flour, salt, crisco, and ice water. Mix together, form into a disk and refrigerate about an hour. Are you still following me?? Good. Remove from the refrig. and roll out the dough to about a 12-inch circle on a well floured surface. Transfer dough to a parchment paper lined baking sheet, preferably one with sides. Now the hard part, open a quart jar of Pear Cranberry Pie Filling and spoon the filling into the center of the crust, spreading the filling out slightly. Fold crust up and over the filling. 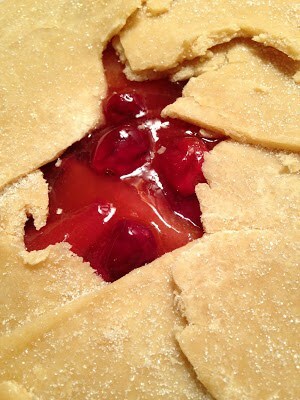 The crust will not totally cover the pie filling. 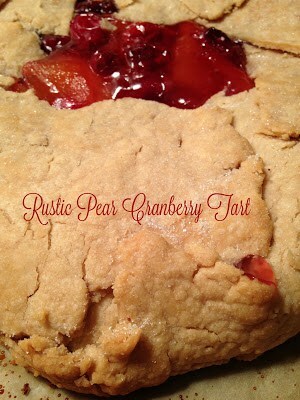 Remember, this is a rustic pie tart. It’s not suppose to be perfect or look beautiful. Brush crust with milk, sprinkle with sugar and bake. Combine flour and salt in medium bowl. Cut in shortening using a pastry blender until all flour is blended to form pea-sized pieces. Sprinkle with cold (ice) water, 1 tablespoon at a time. Toss lightly with a fork until dough forms a ball. Form dough into a small circle. Wrap in plastic wrap. Refrigerate for 30 minutes or up to 1 hour. Roll dough into a rustic 12-inch circle, adding more flour as needed to prevent sticking. 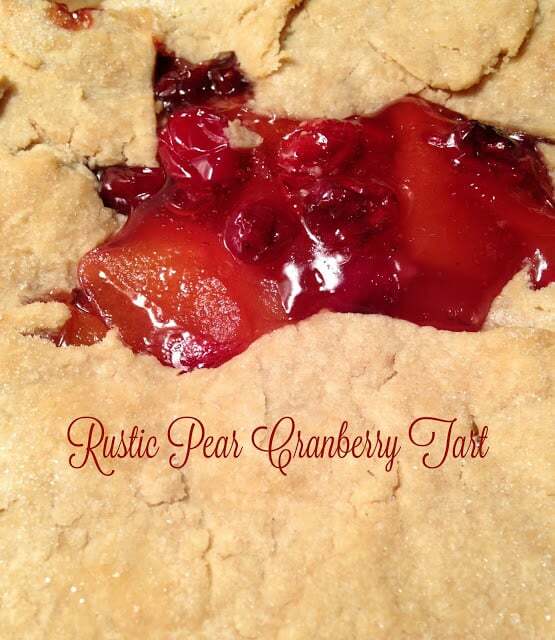 Carefully transfer the crust to a baking sheet (preferably one without sides) lined with parchment paper. 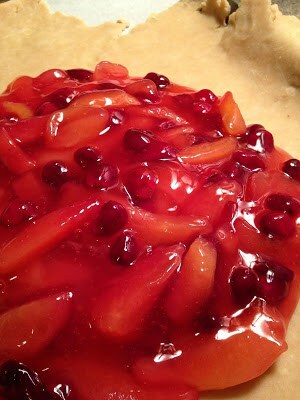 Spoon pear cranberry pie filling into center of crust, spreading it out slightly. Fold crust up and over pie filling, crust will not completely cover pie filling. Using pastry brush, brush milk over crust. 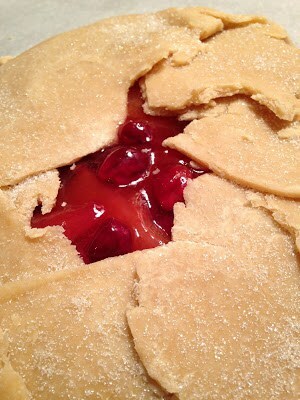 Sprinkle 2 tablespoons sugar over crust. 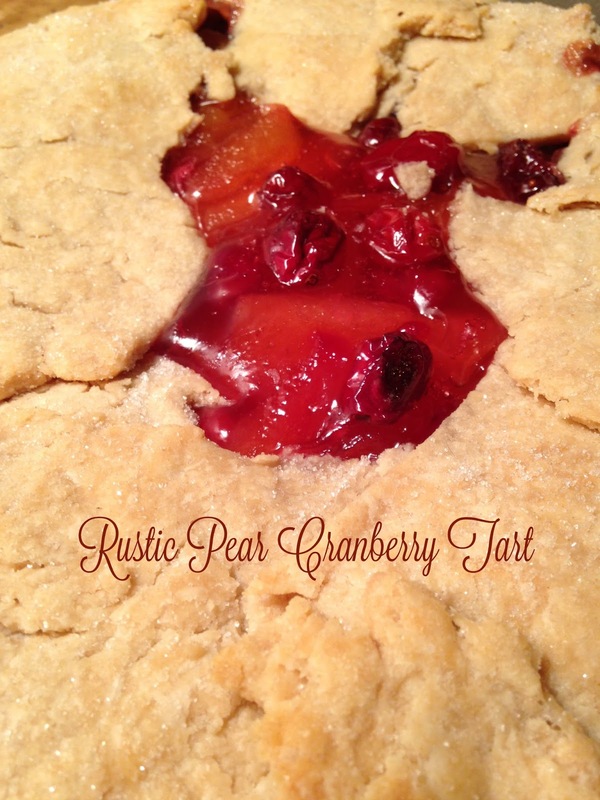 Bake at 375º for 40 to 45 minutes or until crust is golden brown and pie filling is bubbly. Remove from oven and cool on baking sheet for 10 minutes.